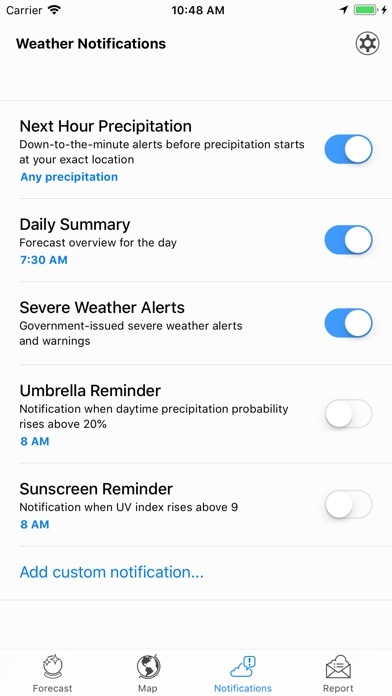 Dark Sky Weather App Data & Review - Weather - Apps Rankings! The applications Dark Sky Weather was published in the category Weather on 2012-04-16 and was developed by Jackadam. The file size is 47.48 MB. The current version is 6.3.3 and works well on 10.3 and high ios versions. 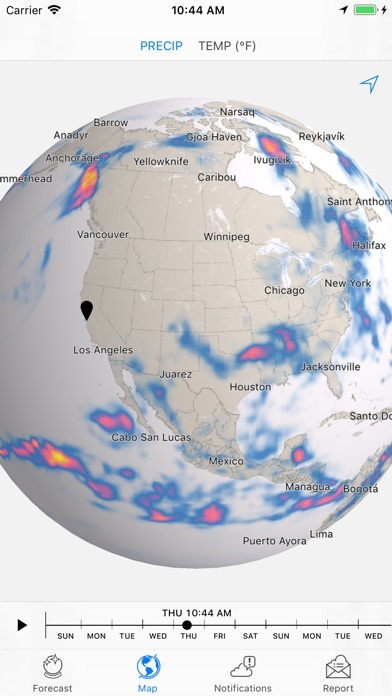 Do you like Dark Sky Weather applications? Please share! The only complaint I have is that I wish the widget on the home screen would be able to show you the weather for the next few hours, instead of having to open the app for that. 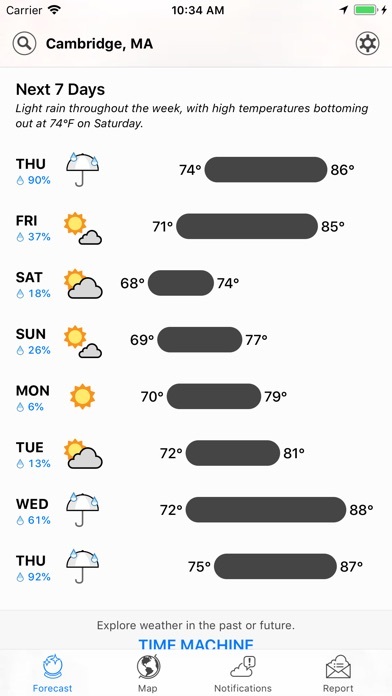 The weather for the rest of the week is usually pretty useless for me in the morning, so I wish there was an option to switch that around. I’ve been using Dark Sky since June of 2015. 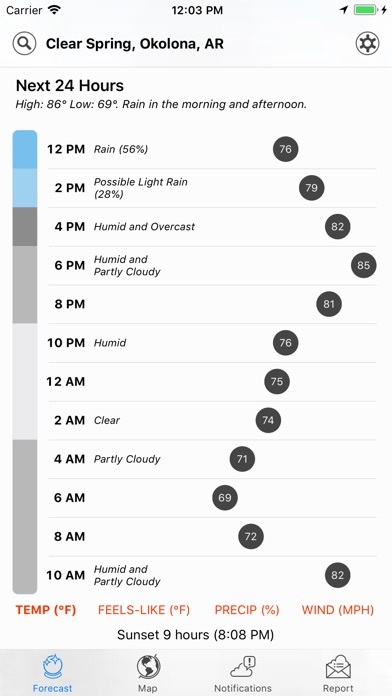 Since that date, it’s been my #1 favorite weather app. It’s major draw is accuracy. I’ve been looking extensively between Dark Sky and another popular radar app and the data offered on dark sky was vastly superior. With a storm front about to hit, the rival app displayed rainfall while Dark Sky displayed it a few miles away yet. 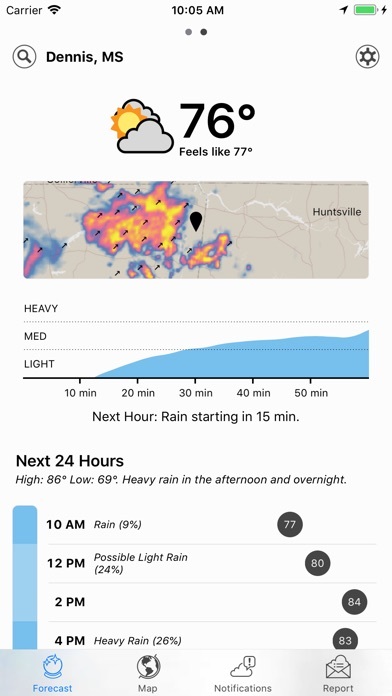 Because Dark Sky has these hyperlocal data points from using phones barometer and sharing it with other users, they are showing details that reflect actual weather events much better. 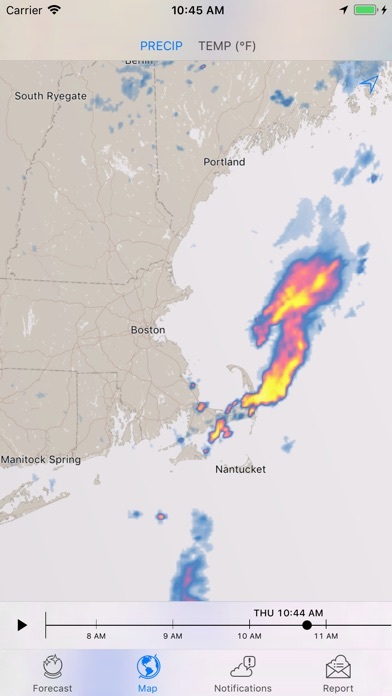 Whereas the traditional radar is interpreting clouds from a distance, Dark Sky pops in and helps to give the storm model more 3D details, which offers even better predictions. 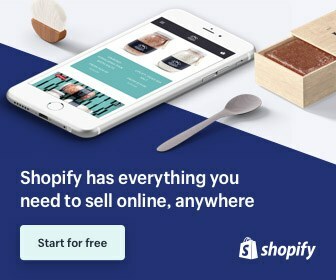 It’s grown a lot over the years and become much more user friendly and less buggy. However there is one issue that has persisted from the beginning. “Playing” the radar loads slowly and doesn’t always update properly. A lot of the time, I need to reset the view by zooming in and out. I know it’s a lot of info to load, but I’d like to see some status on what’s been loaded and ready for viewing. Keep up the great work! Best weather app! This app is great. Far better than the ones that come preloaded on phones. 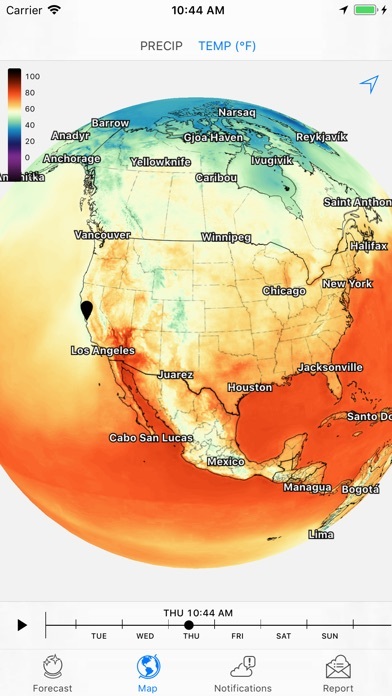 The forecasts tend to be more accurate, and accurate sooner than others. The various features allow for confident outdoor planning. Easy to navigate. Easy to understand. Definitely a go-to app. Seemed cool at first with all the features. I really wanted to like this app, especially since I paid for it. But it’s been consistently unpredictable. I’ve been stuck in the rain at least 5 times the last few months because this stupid app said it wasn’t going to rain. It misses a lot!! I back using the default iPhone weather app now cause it’s more accurate A LOT more of the time. This app is nothing more than a nice appearance that seems smarter than it is.